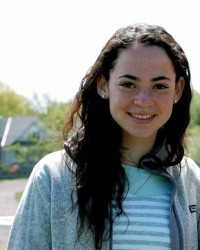 Meet Potomac Pilates’ newest instructor, Dinah Gordon, a junior at The Maret School. Dinah is passionate about sharing the benefits of Pilates with other teens. Before Dinah took her first Pilates class almost two years ago she thought, “Pilates is only for people your mom’s age who have too much time on their hands and aren’t up for a rigorous workout.” She quickly found this statement to be WRONG. After attending a Pilates’ class with her mother, Rachel Gordon, D.C. resident, Dinah quickly became "hooked". Dinah’s mission, beyond being able to hold a plank longer than her mother, is to open the door of Pilates to a younger generation. Dinah would like to help her peers: “Tones Their Body; Improve Strength, Flexibility, and Posture; Develop Muscle Awareness; Prevent Injuries; and Have a Fun … Good Workout! !” Get fit with Dinah! Classes begin Tuesday May 27th and run through the end of June. Sundays 2:15 & Tuesdays 4:15 at the Palisades location (5185 MacArthur Blvd Washington DC). Thursdays 4:15 at Chevy Chase location (Wisconsin Place – 5406 Wisconsin Ave. Chevy Chase, MD). Hear Dinah in her own words: http://www.potomacpilates.net/pages/blog1. Potomac Pilates is a locally owned chain of three Pilates’ studios. Specializing in reformer based Pilates’ classes, Potomac Pilates has been open since August of 2006. Reina Offutt Pratt, is the creative mind and driving force behind the blossoming Pilates empire.